Over 1 Billion people around the world do not have access to clean drinking water. People to People provides resources for IPHC churches and missionaries to dig water wells, providing communities with clean drinking water for themselves, their livestock and for the irrigation of crops. The expense of digging a water well varies from as little as $1000 to over $10,000 depending on the type of well, the location, and the degree of accessibility. 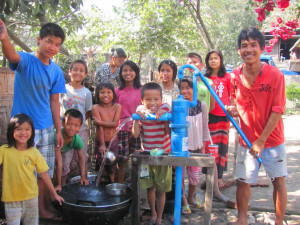 Digging water wells enables the church to become an integral part of improving the overall quality of life for an entire community while sharing the love and Gospel of Christ.